This popular North American native boasts quite a tall, stately presence as a biennial herb. It's tall, spreading habit allows it to reach up to 6 feet tall. 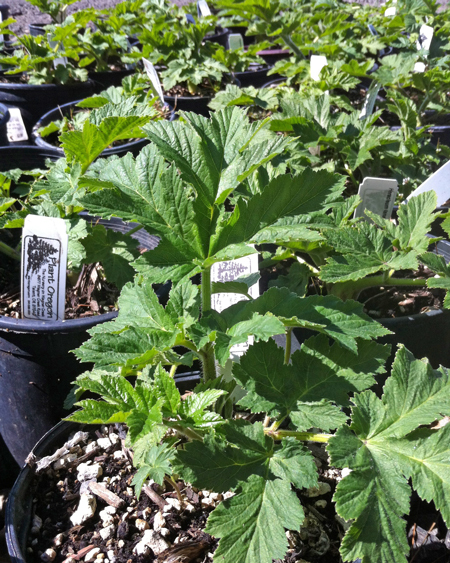 It's large, lobed leaves and easily recognizable flower umbels make this a great choice for a border planting or riparian project. Its flower umbels are characteristic of the carrot family (Apiaceae), and they bloom from June to August, providing nectar for butterflies, honey bees, and other beneficial insects. 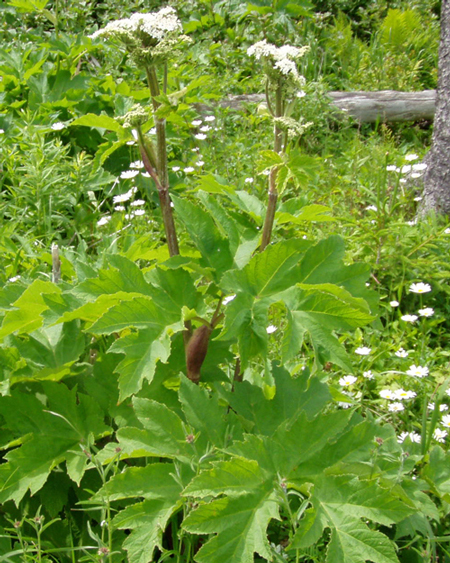 This plant has also had a variety of interesting ethnobotanical uses by indigenous Native Americans. Plant these in sun to partial shade in moist, disturbed sites in rich soil. They can tolerate going dry in the late summer. 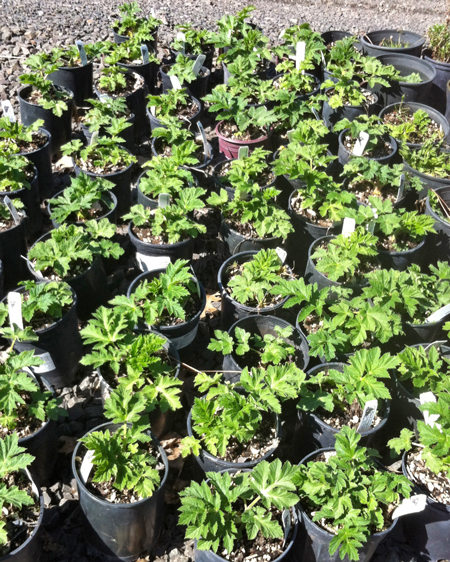 Categories: All Plants, Herbaceous Perennials, Native Plants, Plants for pollinators, Restoration Stock, More..